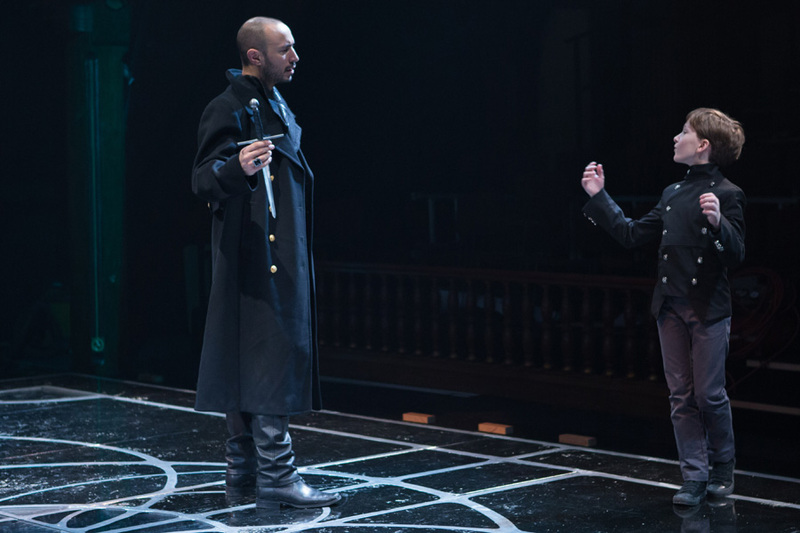 Richard (Drew Cortese) and the Duke of York (Remy Brettell) in Richard III, directed by Robert Richmond, Folger Theatre, 2014. Photo by Teresa Wood. This is an excerpt from Yale professor Joseph Roach’s talk for the Shakespeare Anniversary Lecture Series at the Folger Shakespeare Library in October 2016. Listen to the full recording on SoundCloud. The most humble or even abject items of material culture—take stage properties, for instance—can speak eloquently about history, if we will only listen carefully to what they have to tell us. That is because their power to symbolize belies their apparent lack of inherent use-value or even their exchange value on any market but that of the imagination. 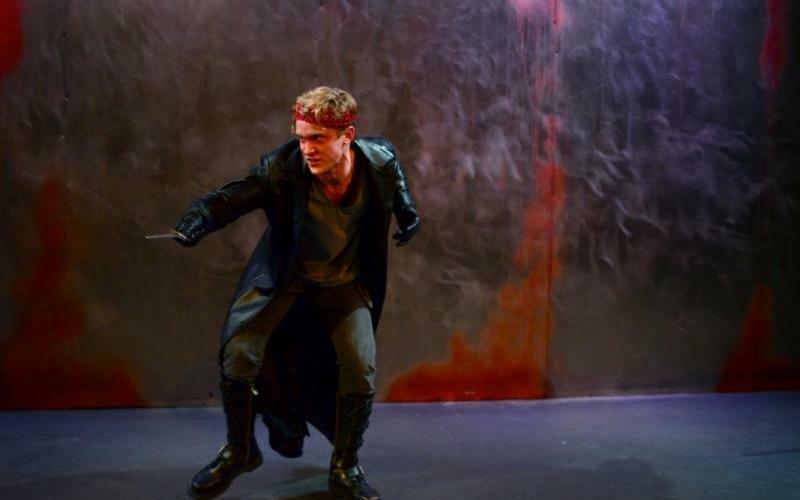 In my own practice as a stage director, respect for the objects of material culture continually informs the details of my productions, such as the Richard III “straight” that I directed for Yale College Theater in 2013. While we were rehearsing, the malformed skeleton of the historical Richard pushed its way up through the asphalt of a Leicester carpark, like the return of the repressed. Photo from Shakespeare’s Richard III, a senior project for Cambrian Thomas-Adams and Nora Stewart, directed by Joseph Roach. Performed at the Whitney Humanities Center April 5-13, 2013. Photo by Rebecca Sylvers. Richard: My dagger, little cousin? With all my heart. Let me point out that a number of real historians have been defeated in their efforts to rescue a kinder, gentler historical Richard from Shakespeare, who unforgettably dramatized him as evil itself. Richard’s apologists, known as the Ricardians, accuse Shakespeare of blindly following Sir Thomas More’s Tudor hatchet job. But the skeleton that came up from the carpark confounded the apologists. The bones bore the forensic evidence of many savage stab wounds made on the corpse—not on the living body, but on the corpse—new evidence that it was not only Sir Thomas More who had an ax to grind. At the very least, no shadow of doubt remains, pace Ricardians, that Richard’s spine curved from the waist in a severe hump. Stage tradition, not flattering portraits touted by apologists, some real historians among them, carried this fact from the 15th century forward to the present as part of a living repertoire. The metonymical property dagger, however, needs no exhumation, even though it humbly waited, dulled for safety’s sake, and scored with many blows over time, in the Yale property room weapons chest, to do its vital symbolic work. Richard not only toys with it and wields it in deadly earnest—he is the dagger.